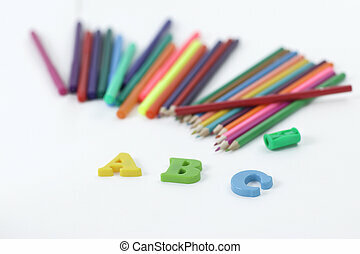 Alphabet of colored pencils. 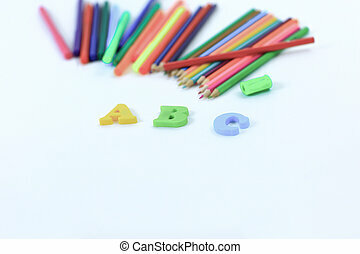 Letters and numbers alphabet of colored pencils. 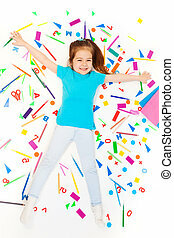 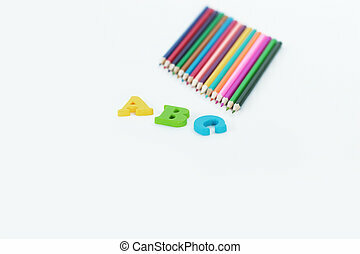 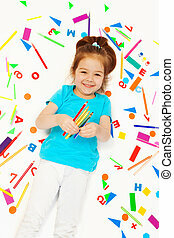 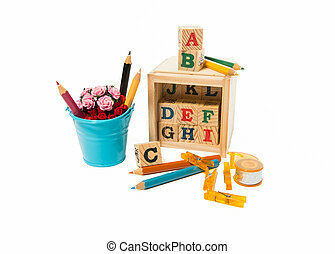 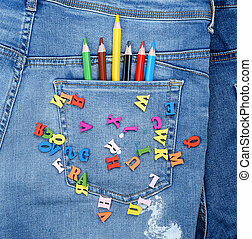 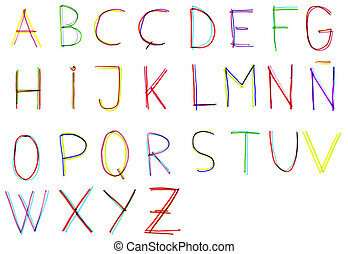 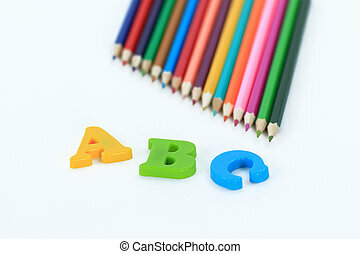 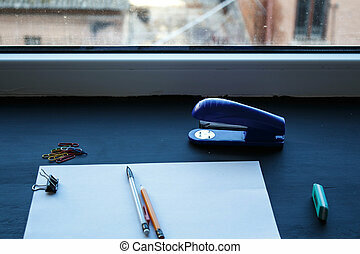 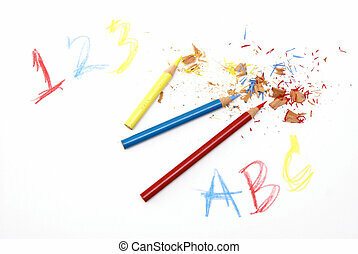 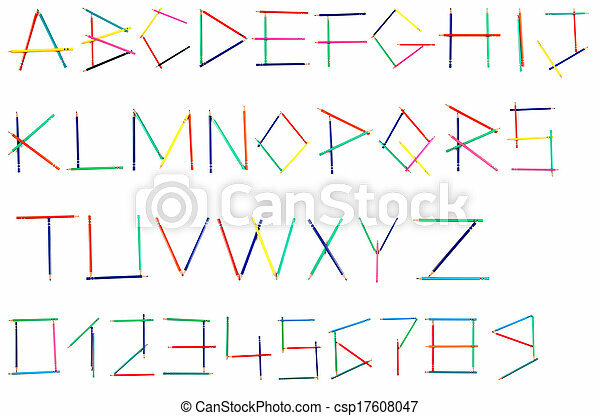 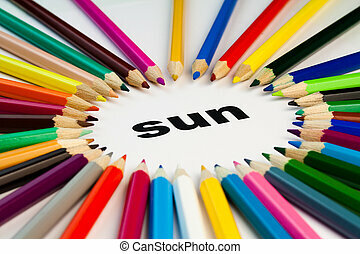 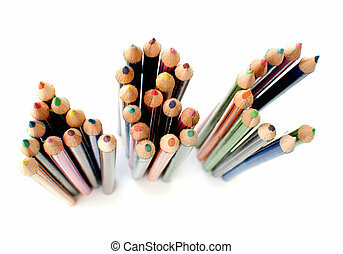 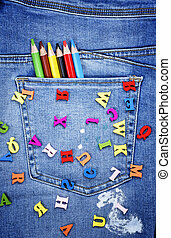 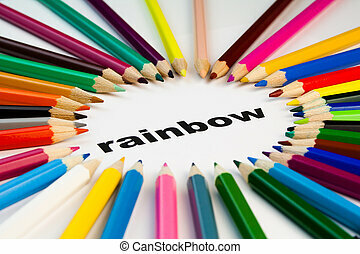 colored pencils and letters of the alphabet on a white background .photo with copy space.